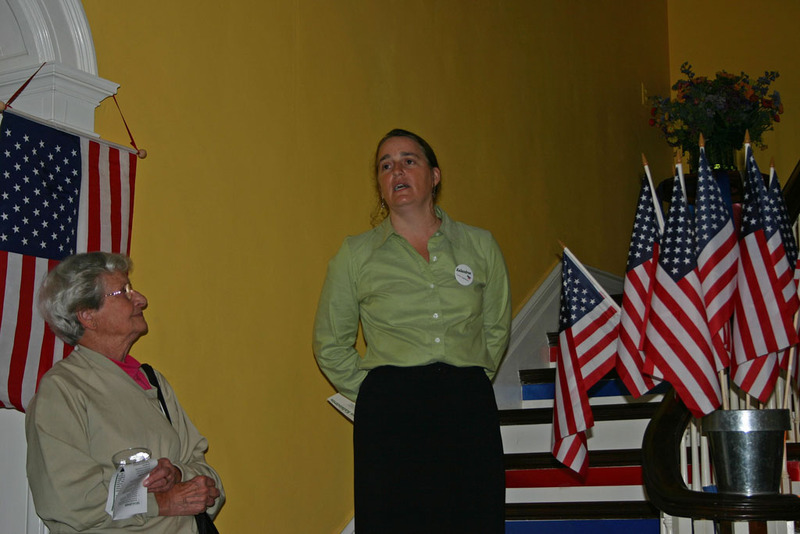 I first met Athena Kalandros at a Groton Democratic Committee meeting where they were looking for candidates. If I remember right, Bob Walpole had talked with her about the possibility of running while she was getting her kids on to a school bus. She was at the meeting to find out what was involved, and the rest of the people there were hoping to find a candidate. She asked lots of questions, and the conversation was a mix of recent history, talk about where the district was going and where it might go, and questions about whether a Democratic candidate might have a chance in a district combining heavily Republican Groton with a deeply Republican Dryden district and another from Lansing. It seems that she's done very well since. I've seen her at two meet-the-candidate events and heard her on Casey Stevens, and she combines tremendous energy with a powerful interest in how to represent the district's interests. She understands that rural districts have different interests from urban and suburban districts, and clearly chose Groton as a place where she wanted both to raise her children and run a business that brings the community together. 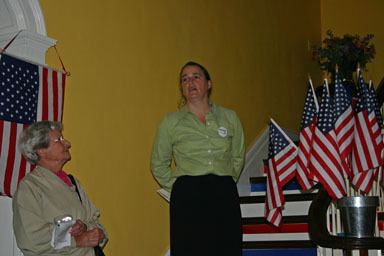 Athena Kalandros talks about serving the 9th district. Like her opponent, Kalandros is a newcomer to politics, but her past public service experience seems likely to ease the learning curve. She's good both at talking and at listening. She seems extremely able to get along with both Democrats and Republicans, a talent she'll need to bring her district's concerns to the County Legislature and get things done.